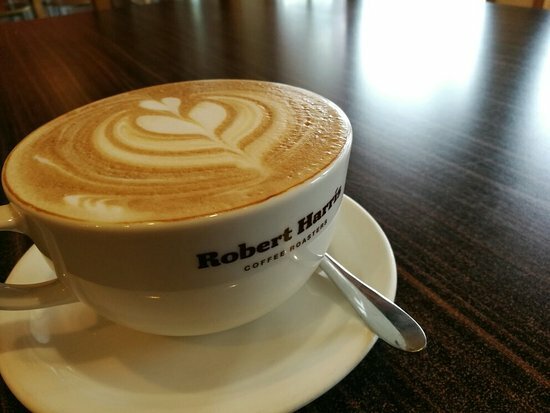 Robert Harris are experts at making coffee for Kiwi tastes, not only because we’re Kiwis, but because we know every day is an opportunity to do things better. Coffee and Equipment are proud to supply such a fantastic coffee to our Central Otago, Timaru, Ashburton and surrounding areas. In 1972 Robert Harris changed people’s ideas about coffee and it is this challenging spirit and dedication to New Zealand creativity that continues to drive us today. Our award winning coffee has been delighting Kiwis for years, and with our comprehensive range of blends we’re certain you’ll find your perfect match for every occasion. Nero means black in Italian, and perfectly describes this dark, rich blend of coffee with full bodied taste. The beans are sourced from Asia, Central & South America, then roasted very dark, giving them a smoky and nutty flavour which can be savoured even in milky coffees. With beans sourced from Asia, Central & South America, this is the ultimate espresso coffee blend. The beans have been slow roasted which allows all the subtle, smooth caramel notes to come through, while also delivering amazingly rich crema in your espresso. Robert Harris’ coffee experts went all the way to Brazil, Peru & Costa Rica to meet Fairtrade farmers to source these 100% Arabica beans. They then hand selected the best beans, to create this clean, vibrant and well balanced blend, that delivers aromatic notes of vanilla & blackcurrant. Robert Harris’ Master Roasters have given these beans a medium roast to retain the clean and sweet flavours of this 100% Arabica blend. Grown in the clean and clear air of high altitude mountains, you’ll be able to taste the delicious caramel & maple syrup notes in either black or milky coffee. Robert Harris’ Kiwi master blenders have cleverly recreated the famous Jamaican Blue Mountain coffee that’s so popular throughout the world. They’ve given it a mellow roast so it delivers the intense sweetness and hints of stone fruit that Jamaican Blue Mountain is so renowned for. If you like your coffee really dark, this single origin coffee is for you. Italian Roast is the darkest roast, which means roasting the beans to our hottest temperature. The secret is in finding a sturdy bean that can take the heat without losing any of the flavour. So you can make a true Italian-style coffee.